1. Brunch. I don’t know about you, but one of my favorite hobbies is brunching. (Yes, I made it a verb). That’s because Chicago is so good at it. Even the Michelin Guide inspectors thought so and consequently added breakfast as a meal type. Treat yourself to something special. 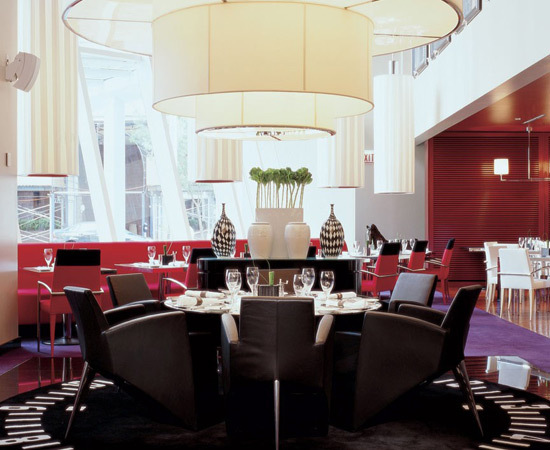 NoMi at the Park Hyatt, Cafe des Architectes at the Sofitel, and Fred’s at Barneys all deliver a brunch to remember. 2. Cocktails. If brunch isn’t your thing (we can’t be friends). But here are some oh-so-fabulous places to celebrate the Christmas cheer: Gilt Bar in River North, Coq d’Or at The Drake Hotel, The Bar at The Peninsula, Pops for Champagne on State Street, The Bedford (inside an old bank vault) in Wicker Park, and The Barrelhouse Flat in Lincoln Park. All offer an outstanding list of libations. 3. Shopping. From Dec. 1-4, find handmade creations that will have your gift recipients swooning. The 11th annual One of a Kind Show is back at The Merchandise Mart featuring more than 600 talented artists from across the country. 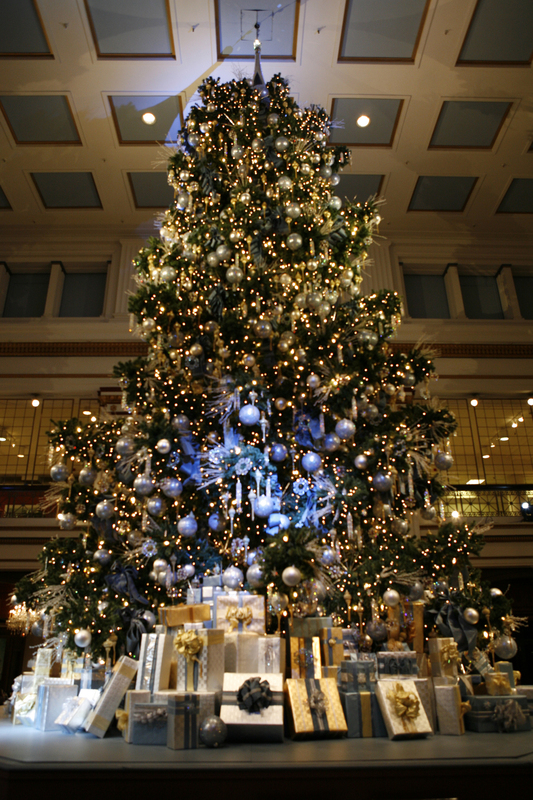 Or cross some names off your list at Macy’s on State Street so you can check out the Great Tree in the Walnut Room and the animated holiday windows. This year’s theme is “Macy’s Star-Studded Believe Tree” featuring celebrity designed ornaments retailing for $10, with 10% of the purchase price benefiting the Make-A-Wish Foundation. 5. Lights. There’s nothing like the twinkling lights of the city to put you in the spirit. Bundle up and stroll down Michigan Avenue to see the lights installed for the Magnificent Mile Lights Festival (11/19). Michigan Ave remains alight throughout the season. Or head north for the ZooLights at Lincoln Park Zoo for a visit with our beloved furry friends, live ice carvings and delicious food and hot spiced wine. 7. Music. Join thousands in singing Handel’s Messiah at the Do-It-Yourself- Messiah (12/19 & 12/20) at Millennium Park’s Harris Theater complete with world-class soloists and a full orchestra. Or rock out at the XRT/Bud Light BIG Holiday Concert at The Chicago Theatre starring Florence + The Machine with special guest Laura Marling. Of course there are dozens of holiday-themed musical events happening throughout the city, so find one that strikes your fancy. 8. Ice Skating. 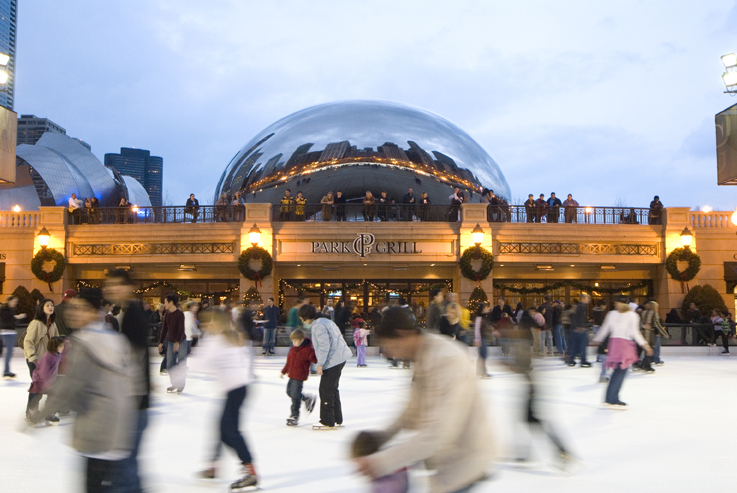 Take a breather from all your holiday shopping (and holiday eating) and go for a spin on one of these awesome ice rinks: McCormick Tribune Ice Rink in Millennium Park, Ice Rink at Navy Pier, Skating in the Sky at John Hancock Observatory and The Rink at Wrigley. Whatever you decide, I wish you and your loved ones all the best. This entry was posted in Arts/Culture/Entertainment, Dining, GLBT, Music, Shopping, Theater and tagged brunch, cocktails, holiday activities, holiday fun in Chicago, Holidays in Chicago, ice skating, movies, music, Shopping, theater. Bookmark the permalink.